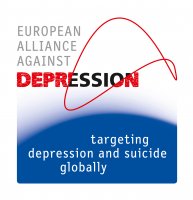 The European Alliance Against Depression (EAAD; www.eaad.eu) is an international network of experts with the aim to promote better care of patients with depression as well as to prevent suicidal behaviour by initiating regional community-based 4-level-intervention programs in Europe. It has been co-funded within the EC Public Health Programme until 2008. Since 2008, it is established as an independent research association. More than 100 regional alliances against depression have already been implemented in and outside of Europe. Research expertise covers the implementation and evaluation of community-based intervention programmes in the field of depression and suicide prevention, eMental-Health (iFightDepression®) as well as the dissemination of research results. Additionally, EAAD promotes young researchers and has an established network of international researchers, experts, clinicians, stakeholders, patient organisations, and platforms. EAAD will lead the Innovation and dissemination management work package, establish connection to healthcare professionals and engage with policy makers. EAAD will execute and evaluate the implementation intervention in the German site and will contribute to the research process and the project communication and dissemination activities, through the German Depression Foundation (third party). iFightDepression® is an internet based and guided self-management tool for adults and adolescents with milder forms of depression. It is available in several European languages. The iFightDepression® tool is free to use. It is intended to help individuals to self-manage their symptoms of depression and to promote recovery with support from a trained (mental) health professional. The tool is based on principles of cognitive-behavioural therapy (CBT), a type of therapy which has been proven to be effective in treating depression. The iFightDepression® tool is available for registered patients via a personal log-in. The users can work through it at their own pace. For young people, an adapted version of the programme is available with specific workshops on social relationships and social anxiety. The use of this version is recommended for adolescents and young adults aged 15–24. The iFightDepression® tool consists of clearly arranged and easy to read texts supported by graphics. Additionally, a mood monitoring questionnaire and work sheets are offered for homework and personal exercises. Interactive features such as a group chat might be integrated in the future. There is good evidence that guided programmes are more effective than those without guidance. Therefore, the guidance by (mental) health professionals, such as a general practitioner or psychotherapist, is a central element of the tool. They have completed a training course and are supposed to maintain personal contact (via telephone or personal meetings) over the whole course of the intervention. Juliane holds a M.Sc. degree in Clinical Psychology, Psychotherapy and Health Psychology, has experience with coordinating EU-funded projects on depression and eMentalHealth (e.g. ERASMUS+ ComMent, iFightDepression) along with coordination of EAAD activities. Pia holds a degree in Health Education and Promotion (M.Sc. ), supports with the dissemination activities of IMA and,next to that, works for the coordination centre of the EAAD and supports the international editing team of the iFightDepression Tool and website. Professor and director of the Department of Psychiatry and Psychotherapy at the University of Leipzig. Head of the former German Research Network on Depression and Suicidality. International expert in depression research and suicide prevention and has coordinated several large EU-funded projects on these topics. Published more than 400 peer-reviewed papers. Received among others the “European Health Award” (1st prize) for the project “European Alliance Against Depression.” Research focus: Neurobiology of depression and affective disorders, the treatment and the prevention of affective disorders, prevention of suicidal behaviour.